Have Agudas Shabbas is back! What month or months will YOU host or be a guest? 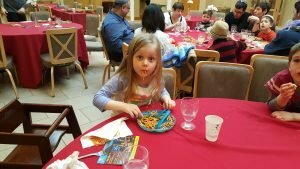 Have Agudas Shabbas is one of the ways that we bring our Agudas families closer together by inviting each other to our homes for a Shabbat dinner. This year, Have Agudas Shabbas will take place January 11, February 8 and March 8. Invite your friends as well as a couple of people or a family that you might not know so well. The Agudas Achim office can help with the extra guests! Everyone “does” Shabbat in their own way, so whether you recite all the blessings before dinner or just sit down for the festive meal, it’s your way of bringing in Shabbat. You need not have a kosher kitchen and the time you begin is up to you, prior to the official Shabbat candle-lighting time (if you have small children) or well after. Host families will receive a lovely Have Agudas Shabbas challah cover as a special gift and a handy reference sheet for key Friday night rituals. Please email or call Bobbie at bshkolnik@agudasachim.org, 614-237-2747, ext. 22 to let her know which month(s) you can Host and/or which month(s) you would like to be a Guest. Shabbat is our “beating heart,” when you will experience us at our best! This entry was posted in Uncategorized on January 3, 2019 by agudasachim. and Yom Kippur in order to fulfill the custom of paying homage to one’s ancestors at this holy time of the year. Following the service, Rabbi Levine will be available to recite graveside prayers at the request of those attending. This entry was posted in Uncategorized on September 18, 2017 by agudasachim. This entry was posted in Uncategorized on July 31, 2017 by agudasachim. Hamburgers, hot dogs, veggie burgers, chicken, and more! Kids will receive a small gift that can be used at the Passover seder. This entry was posted in Uncategorized on March 24, 2017 by agudasachim. Tea, scones, relaxing music and schmoozing with your friends. Dress up, don a hat (if you wish)! Just like the English and our Southern ladies often do. A delightful time to get away and do something for yourself! Please RSVP to sisterhood@agudasachim.org by 3/29. This entry was posted in Uncategorized on March 20, 2017 by agudasachim. 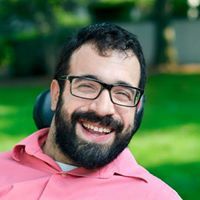 Matan A. Koch’s lifelong history of disability advocacy began at age four with a presentation to several hundred young people, continued with a term as the president of Yale University’s student disabilities community, and reached its most recent high point with his appointment by President Barack Obama to the National Council on Disability, for a term which concluded in 2014. Shabbat morning D’var Torah – “A Conversation on Universal Inclusion” with Matan Koch. 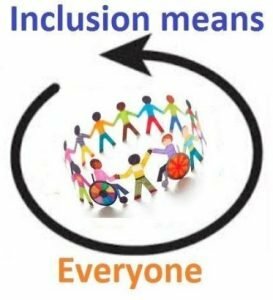 What does it mean to be inclusive? 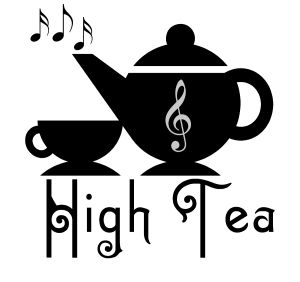 Why do we include? Who do we include? How do we include? We will hear some thoughts on these questions from Inclusion Consultant Matan Koch, and then explore together the next steps of an inclusion journey at Agudas Achim. radition. In this study, we challenge that assumption, exploring a famous Rabbinic exchange which gives us precious insight into the way our sages thought about inclusion, and helps us explore the sometimes artificial distinction between “Jewish” and “Modern”. Join us for Cocktails for Kabbalat Shabbat, Kabbalat Shabbat services, and a delicious Shabbat meal. This evening is family-friendly; all the festivities begin at 6:00 pm. RSVPs must be in by March 28. After this date, all costs will increase by $5, NO EXCEPTIONS! RSVP to Bobbie at 614-237-2747 x22, or rsvp@agudasachim.org. Snacks at 5:30 pm; Minyan at 5:45 pm; and a delicious Italian dinner to follow. $10 for the entire family! Games & coloring for the kids! RSVP no later than 3/22 to brotherhood@agudasachim.org. Brotherhood members will box the Yom Hashoah Yellow Candles, beginning at 4:00 pm. This entry was posted in Uncategorized on August 10, 2016 by agudasachim. Although there is no charge, please RSVP so we know how much pizza to prepare! RSVP to Naomi at 237-2747 x17 or nkurland@agudasachim.org by September 24 to secure your slice! This entry was posted in Uncategorized on September 3, 2015 by agudasachim.